Margaret Louisa Cunningham was born on 12 June 1867 in Mount Barker, South Australia , daughter of Patrick Cunningham and Ellen Haggerty. Patrick Cunningham was born about 1816 in County Clare, Ireland . Patrick, married Ellen Haggerty, in Ireland . 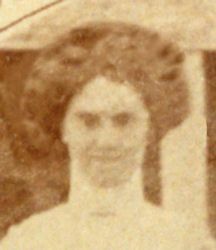 Ellen, married Patrick Cunningham, in Ireland . Ellen Jane Case was born on 9 April 1889 in Pinda, South Australia , daughter of Peter James Case and Margaret Louisa Cunningham. Mary Agnes Case was born on 21 May 1890 in Pinda, South Australia , daughter of Peter James Case and Margaret Louisa Cunningham. On 24 May 1933, Rayburn, aged 41, married Mary Ann Bright, aged 26, daughter of Arthur Thomas Bright and Bridget Margaret Canny, in St Raphael's Church in Carrieton, South Australia . 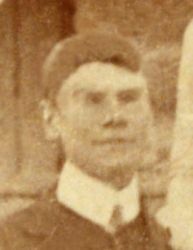 Francis Patrick Case was born on 15 March 1895 in Coonatto, South Australia , son of Peter James Case and Margaret Louisa Cunningham. He died on Saturday, 9 August 1986, aged 91 years, 4 months and 25 days, in South Australia . Walter Peter Case was born on 9 May 1899 in Coonatto, South Australia , son of Peter James Case and Margaret Louisa Cunningham. He died on Sunday, 8 August 1982, aged 83 years, 2 months and 30 days. Walter was buried on 11 August 1982 in the Centennial Park Cemetery, Pasadena, South Australia . [S4] SA Marriage Registrations, SAGHS CD Marriage 1917-1937, Book 378/ Page 2237. Evelyn May Case was born on 13 May 1906 in Coonatto, South Australia , daughter of Peter James Case and Margaret Louisa Cunningham.